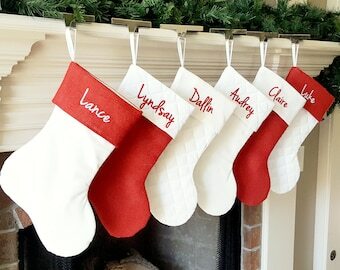 Select a color Burgundy & WhiteTrim [Sold out] Burgundy & IvoryTrim [Sold out] For Red see my shop! 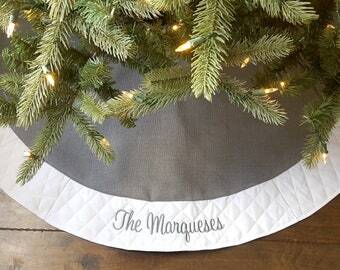 These tree skirts are made to order. 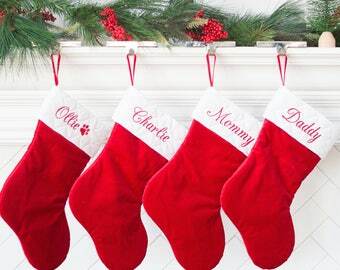 If you need it be a certain date please contact me before ordering. Currently there is a one month production time. 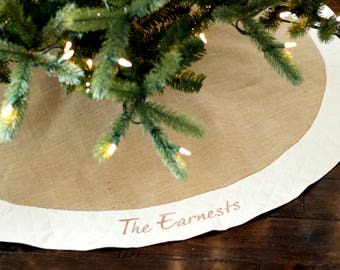 These personalized tree skirts are top quality and gives a simple, elegant and traditional look to any Christmas tree. 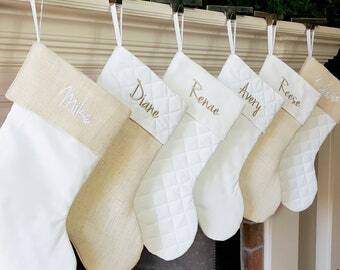 You choose between red or burgundy velvet and the quilted edge is in an ivory cream or white. (Red is available in my shop). 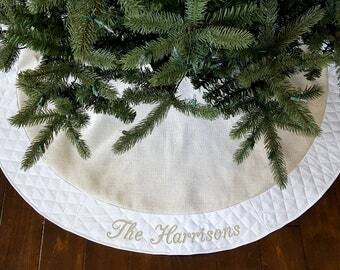 Choose your font and in the "notes to seller" section at checkout let me know what you would like monogrammed on your tree skirt. 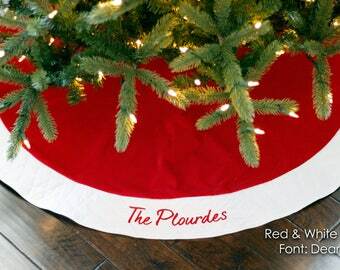 The thread will match the color velvet you choose unless you request otherwise. 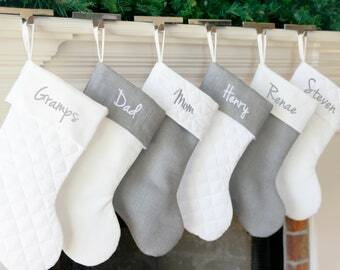 These make amazing one of a kind wedding presents too! 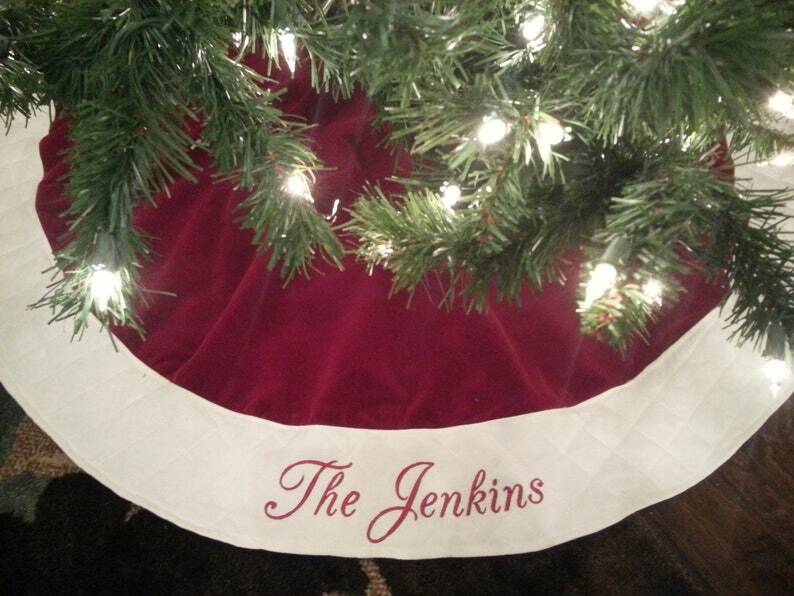 I ordered the tree skirt and matching stockings as a wedding gift for two dear friends, and I could not have been happier with the results. 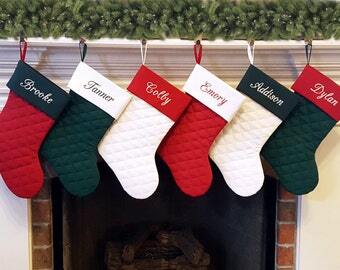 The products themselves are beautiful and well made, and Jaclyn was helpful and responsive at every step of the way. 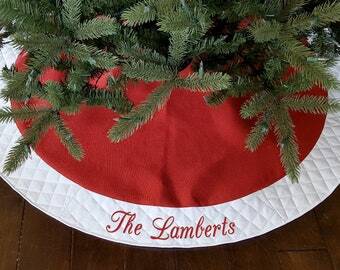 I highly recommend both the tree skirt and stockings, either for yourself or as a wonderful, personal gift.